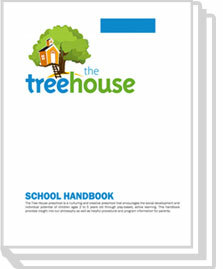 The Tree House preschool is proud to offer the following resources for the parents of our students. If you’d like more information, please contact us. Support the continued growth and development of the Tree House with a tax-deductible gift. As you may already know, New Jersey law states that children, who are six months through 59 months of age attending any licensed child-care center or pre-school facility, must receive at least one dose of influenza vaccine by December 31st of each year. For this reason, every child must have his/her flu shot by Dec. 31st in order to return back to school in January. Please provide written confirmation to the Tree House Director or Office Manager as soon as your child has received a flu vaccination. Please make sure to let your child’s teacher know in writing if your child’s dismissal will be different. If you decide to email this information, please send the email to info@thpreschool.com. If your child is sick, will be arriving late or leaving early, please either call the school at 908-221-1619 or email the school at info@thpreschool.com.